One of the worst things to happen to you when you are late for work or arriving late at night tired is your garage door all of a sudden not operating correctly. Nine out of ten times the cause is pretty simple and the solution is also pretty straightforward. Here are some of the most common garage door repairs issues and how to fix them. If your garage door is not functioning when both the remote and the wall switch are pressed, the most likely cause is the power source that may have been disrupted. As with many such issues, the most common issue is that the motor unit may have been unplugged. All you need to do is to check the outlet where the door opening is plugged in and ensure that the cord is correctly plugged all the way. Another issue is that the circuit breaker, fuse or GFCI operating the door opener could have tripped and possibly burnt out, Look for other lights and electrical circuits in the garage that are also not working, if there are this is the most likely cause. You will then have to reset the breaker or have the burned-out fuse replaced. If you discover that the breaker is always tripping then this is a sure sign that there is a short circuit somewhere else in the system even likely the garage door opener itself. It is also possible that the garage door motor may have given out which is the reason why it fails to operate. 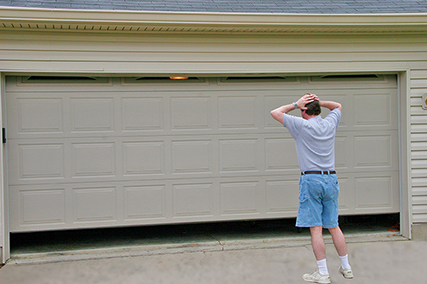 If this is the case, a Garage Doors Plus of Blaine technician may be the one to replace it. The garage door has a set-limit switches that tells the motor when to stop running both when it is opening and when it is closing. If the close-limit switch is set to wrong, it could prevent the door from closing. It also can cause the opener to reverse or pull back up when you try and close it. The close limit switch features a safety measure that keeps people from being hit should they be underneath the door. This is a required device for all models of garage door openers. By adjusting the limit switch, it will prevent your garage door from operating erratically. Keep in mind that different garage doors have different means of adjusting the set-limit switches. However, it is usually a screw feature on the motor unit that is manipulated to adjust how far the door goes down. Located near the base of the door track on both sides are electronic eyes that need a clear line of sight between them. If there is nothing hindering the sight-lines then the door will close smoothly all the way to the floor. However, there are instances where there is something blocking the sightline, or when the brackets keeping the electronic eyes in place become misaligned, the door will not close all the way down. Check to see that there is nothing blocking the line of sight between the sensors. It is always possible that the sight path can have debris that can block the sensors. If you notice this phenomenon happening more often, it is possible that vibrations from the door in the tracks have loosened the brackets keeping the sensors in their place. Sometimes the garage door repairs problem causing all of those are just rusted or damaged rollers causing the door to stop in its tracks. Solution is to replace the damaged rollers or lubricate them using silicone lubricant. If the garage door immediately leaps upward after touching the floor then it is likely that the close-limit switch may be the issue. The solution is to adjust the close-limit adjustment screw on the door opener motor in small increments until you see the door stops upon reaching the floor. There are times that the garage door opens ok but stops to operate during winter. If this is the case, check for a screw located on the motor unit to adjust the opener sensitivity. During the cold season the rollers can get stiff resulting in a door that will not open. Usually just lubricating them can help solve the issue. Ways to adjust the sensitivity do vary so check with the manual first. If you are in Japan and thinking of getting a traditional Japanese tattoo from a Japanese tattoo artist you might want to express your gratitude by giving a tip for the excellent work on your skin or do you? In Japan, there are a few scenarios where tipping may be considered an appropriate gesture such as staying at a traditional Japanese inn called a “ryokan” or if you’re in a luxury Western style hotel. It is important to note that tipping is not something to be expected nor is it considered rude one way or the other. In Western countries especially the US, it is considered customary to tip after salon appointments, spa treatments, restaurant or drinks at the bar and even taxi trips. In Japan however tipping is not practiced or done in any of those situations. If you attempt to make an effort you will most likely receive a polite refusal or you will have your money returned to you without utterance of a word. In my experience, when I was living in Japan I made the mistake of leaving a tip on the table of the restaurant where I ate. Needless to say, the wait staff chased me half a block away just to return my money. 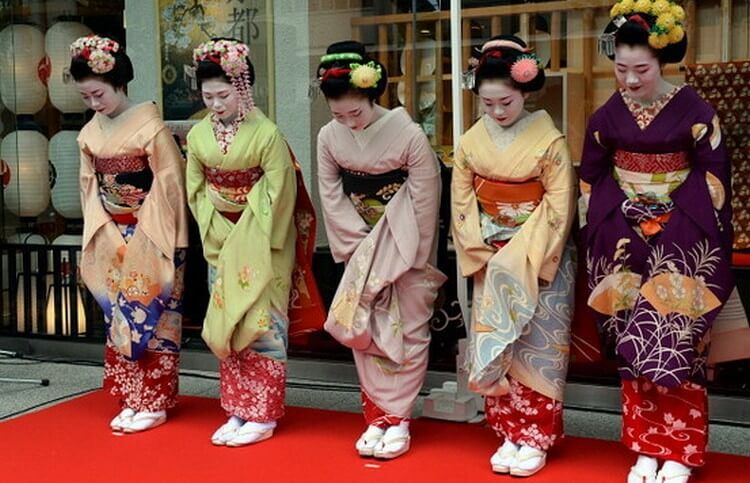 This experience is not uncommon for many western travelers visiting the land of the rising sun. You know for a fact that attempting to make the same gesture when you know that cultural difference does not see this as a form of generosity can be downright rude. If anyone does accept the tip then this means they do not prefer to go to the trouble of having to explain to the clueless western traveler about their culture and norms because of the obvious difficulty of a language barrier. Being persistent in these kind of situations does look like a very nice gesture for you but it is really viewed as the opposite. If you do feel greatly about the value of the service then the best way to express your gratitude to the artist that did your Japanese tattoo would be to pay them another visit the next time you are in town. Alternatively, you can spread the word about your excellent experience to others. 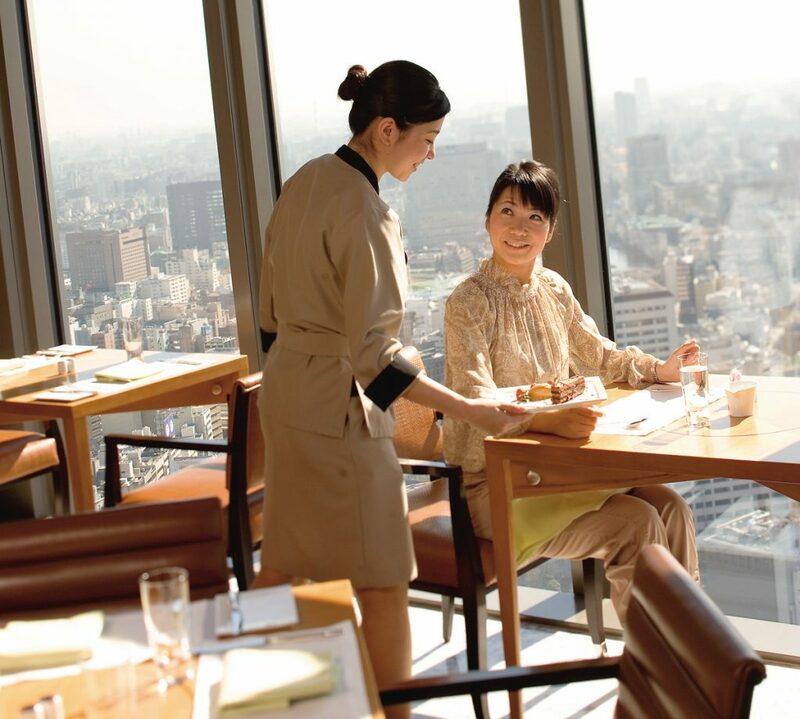 In Japan, hospitality is quite high compared to every other country in the world. This is due to in large part in the belief that high quality service do not come with a heftier price tag. It is ok to expect amazing service, good clean environment with friendly and attentive staff almost everywhere you go and there are no tips needed. 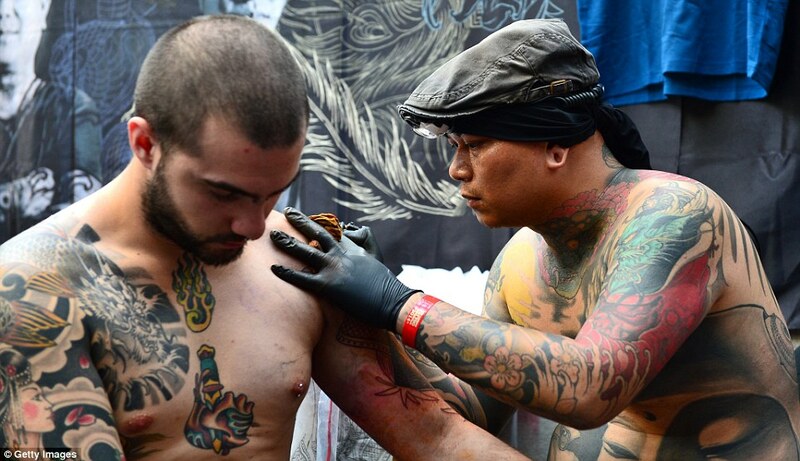 If you want to tip your Japanese tattoo artist insist no more than three times only. Beyond this it is now considered rude and discourteous. Make sure that you know the amount you would like to give and place it in a clean envelope beforehand. Present the envelope to the artist using both your hands and call it a gift rather than a tip. Expressing your appreciation for someone’s work is always a good thing no matter what method it is done. If you want to get a tattoo by a professional who specializes in traditional Japanese tattoos in America, head over Katana Tattoo Shop for more information. 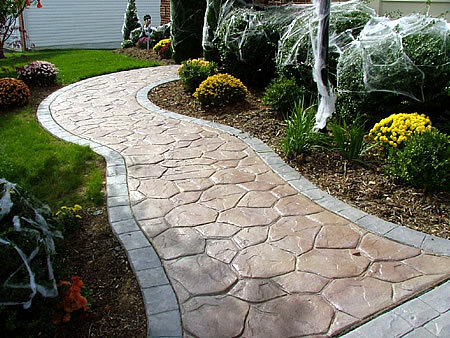 Concrete for roads is known as the most durable construction material on the planet so much so that that it can be used practically anywhere, and can be made to look just as beautiful as if it were carved from a precious rock quarry. Here are some of the different types of concrete for roads surfaces and their corresponding usage. According to Aggregate MN, this type of concrete mixtures is perfect because they are built to withstand the structural flooring and therefore can take a lot of punishment without much in the way of maintenance. Cleaning the floor is easier as it is less delicate than other floors in the house. 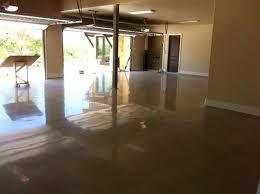 If you want to go the extra mile, apply a concrete sealer for best results. 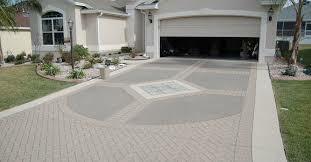 True to form most parking and driveway areas are usually either asphalt or concrete. An alternative albeit an expensive one at that is to use stone or bricks. Concrete for roads experts recommend concrete over all other construction materials is due to its penchant for being mixed or blended in such a way that it can withstand the heavy loads that rests upon it. You can finish off using a brush-textured finish giving it a rougher surface that can ensure good traction. If you are on a budget or just want to be practical without sacrificing aesthetics for strength then use concrete for your patios. This material is not only less expensive but much quicker to customize depending on what you prefer. 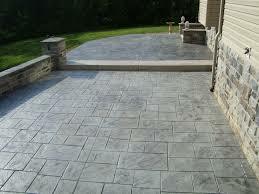 They usually have the same strength as the ones used in walkways and patios. Weeds are menacing invaders if your beautiful lawn. 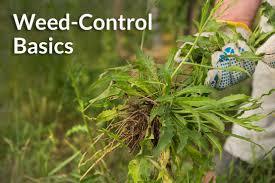 Having the right weed control service, your lawn problem will be a thing of the past. Drought and shade tolerant, with good-looking ground cover, the Bishop weed has blue-green leaves with white summer blooming flowers. It has a penchant to grow quickly, which makes it aggressive. The plant is classified as an invasive species in many northeastern states. Here are some tips on prevention and control of Bishop’s weed. With a little elbow grease you can remove Bishop’s weed effectively by grubbing or hand weeding them out of your lawn. DiversifiedMosquitoAndTurf.com recommends you go after the underground roots to ensure complete removal as just small piece of rhizome can easily thrive and grow into a new plant. Also, to make the weeding easier, moisten the soil with your garden hose and then with the use of a trowel loosen the dirt. 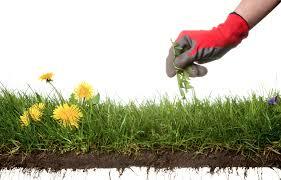 Start your digging approximately twelve inches away from the main plant in order to help loosen up the soil. Just repeat the digging or pulling process whenever you notice new Bishop’s weeds appear. When disposing the weed it is recommended that you pile them on a tarp and then let to dry out in the sun for a few days prior to disposal. Avoid adding them to your compost heap as they could re-sprout very quickly. DiversifiedMosquitoAndTurf.com recommends covering patches of your yard with thick black plastic sheets during the early spring when the plants are just beginning to leaf out. This will help deprive the weeds with much needed sunlight, necessary for them to grow. Damp the soil first to achieve better heat conduction and then install a plastic sheet over it and then weigh down using sandbags and rocks. Welcome to the new VonTrapps.com, a blog devoted to beer, food and all the info men need to improve your lives. My mother used to always say that a well fed man with a buzz is a happy man. My mom was a wise woman. What sort of things can you expect from the new VonTrapps blog? Lets talk beer! I’m a big beer fan but then again who isn’t. Like many men I’m almost obsessed with trying new beer. When I travel long distances I make it a point to stop by liquor stores and stock up on the regional favorites. I’ll be reviewing the hits and misses that I find along my travels. Lets talk food! Just like beer, I’m always on the hunt for regional favorites. Whether that’s favorite restaurants or foods that are unique to one particular region. Lets talk tips! 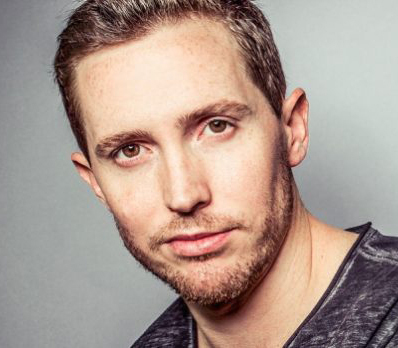 Many of you might be familiar with LifeHacker.com or the Life Pro Tips sub-reddit where users are always sharing their favorite tips for improving certain aspects of your life. I’m a big fan of these kinds of information tidbits and I make it a point to try and incorporate those that I think apply to me. I’ll be sharing my success and failures as I add these to my routines. If these topics sound like something that interest you I encourage you to follow us on Social Media and visit our site often. I know you’ll find some useful information.